Jailbreaking an iOS device has always been about the freedoms that it brings to users. Freedom to install apps and extensions that haven’t been vetted and sanctioned for sale in the official App Store. Over time, the freedom to customize the look and feel of the firmware’s user-interface elements has also become extremely popular, with some users opting for minor amendments while others revel in full system artwork replacements. The new Messages Customiser package is one of customization, is a lot more subtle than a full replacement and relates directly to the native Messages app in iOS 7. 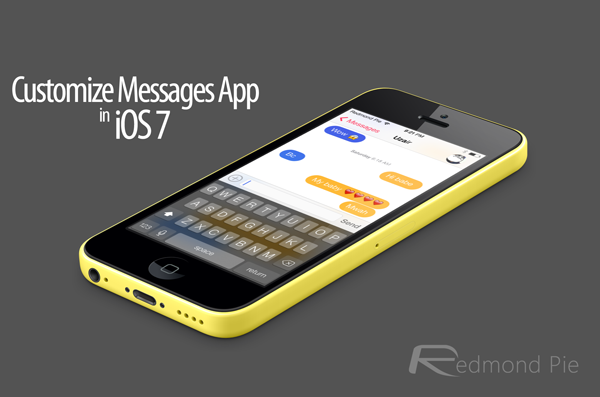 Messages Customiser, developed and published by Charlie Hewitt, is all about offering color choice to the user. The introduction of iOS 7 brought with it a focus on flat, clinical user interface elements, with Apple making their Messages app very clean and light. 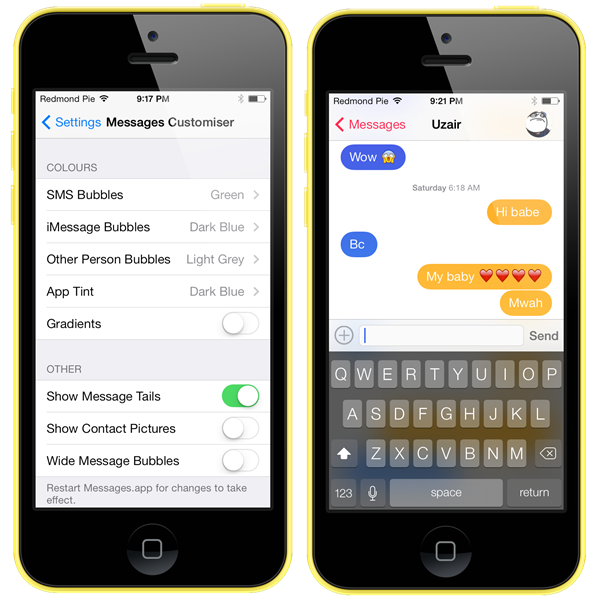 Rather than be forced to stick with the green chat bubbles for text messages or blue bubbles for iMessages, users can now install this package and benefit from the freedom to choose a color scheme that suits their own needs. Individual colors can be selected for each messaging type as well as choosing a standard tint color that will be applied to the whole of the Messages app. The developer has also gone a little above and beyond by adding a few additional options that definitely enhances the messaging app experience. It’s now extremely easy to remove the ‘tails’ from the chat bubbles and choose whether or not the contact’s address book image should be displayed in the chat conversation. It isn’t the first time that we have seen functionality of this nature within a tweak. Extensive packages like BiteSMS have long offered the ability to customize conversations. However, some users really don’t require the additional features that come with those packages, and in those instances Messages Customiser is the perfect solution. 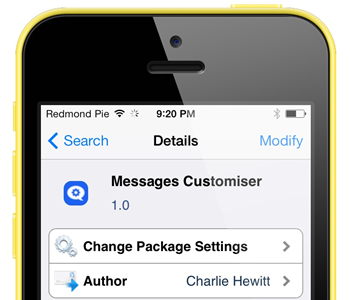 Messages Customiser is available as a free-of-charge download from the ModMyi repository and requires a jailbroken iPhone, iPad or iPod touch device running iOS 7.0 or higher. The package has also been built with support for 64-bit devices such as the iPad Air, iPad mini with Retina display and the iPhone 5s.